Do you believe in Christmas magic? Some years ago, when my children were very small, I was dismayed to hear my son pipe up that little Johnny at school said that his dad had told him there was no such person as Santa Claus. I knew the family kept Christmas and wondered how such a miserable pillock could not only undermine his own child’s pleasure, but other children’s too. How dare he? It being the season of peace and goodwill, I resisted the urge to seek out little Johnny’s dad and roundly chastise him. Besides, he was undoubtedly a very confused, sad, man. Instead, I painstakingly explained to my son that Santa Claus was magic and, if you believe in magic, then Santa will be real for you. This worked a treat for some considerable time – maybe until my son was in his early 20s. You’re probably impressed that I didn’t take the opportunity at the time to save hundreds of pounds in the years ahead; but that would’ve spoiled the magic. The point is that there is a fine line between myth and reality. Fact and fiction can become blurred, truth can indeed be relative and a goodly part of the Christmas story necessitates a suspension of disbelief. If Christmas is not part of your culture, you’ll probably want to skip the rest of this. Even some Christians do not celebrate Christmas. But if it is part of your culture – and that includes the vast majority in Britain – the fact that the festival, along with all its associated rituals, has been with us for so long is almost humbling. 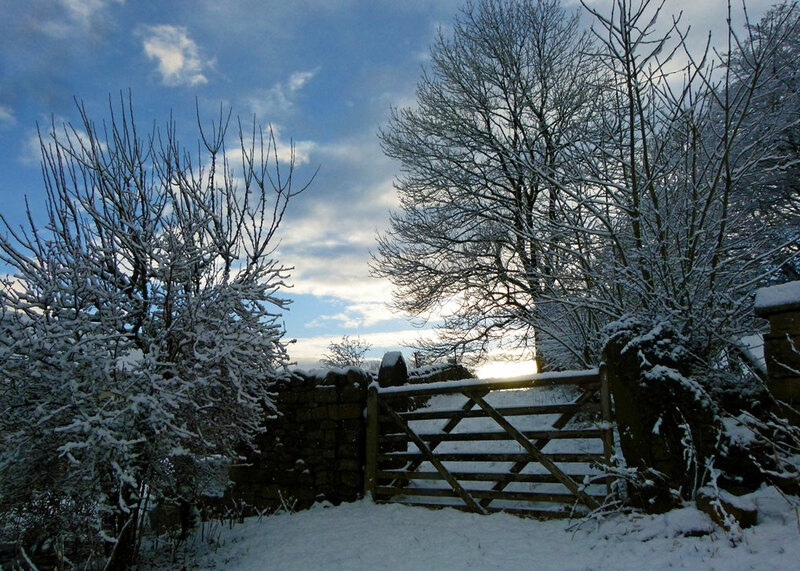 Whatever it means to you – whether it is part of the Greatest Story on Earth, an ancient midwinter feast, a welcome day of relaxation with the family, an over-commercialised stressful time that you’d really rather didn’t happen – stop and think about it for a minute. Our parents, their parents, the parents before that – and so on back through the centuries – all marked Christmas in some way, as most of us still do. We owe almost all of our present festive custom and practice to people that belong to the ranks of the long dead. And it wouldn’t still be with us without a heady mix of faith, story-telling, mystery and enchantment; in short, Christmas magic. To be fair, a great deal about Christmas is nothing whatever to do with the birth of Christ. It is intriguing, for example, to imagine some old German or Norseman, arguably long before Jesus was a glint in anyone’s eye, introducing the first Yule Log. It was a symbol of fire and light in the dark, cold, northern winter; bet he never thought it would one day turn into a chocolate-covered cake at the supermarket. Even so, the old Midwinter Festival of Yule, and its log, are both as much a part of our festive tradition as chocolate cake and a whole bunch of other Christmas stuff, including the date. Much of our Christmas has been created by the Victorians. Charles Dickens and Ebenezer Scrooge (clearly, an ancestor of Little Johnny’s dad) have much to answer for. Though it is not true that Prince Albert introduced the Christmas tree into Britain – that honour goes to George III’s wife, Charlotte of Mecklenburg-Strelitz – Albert, and Victoria, helped popularise it. 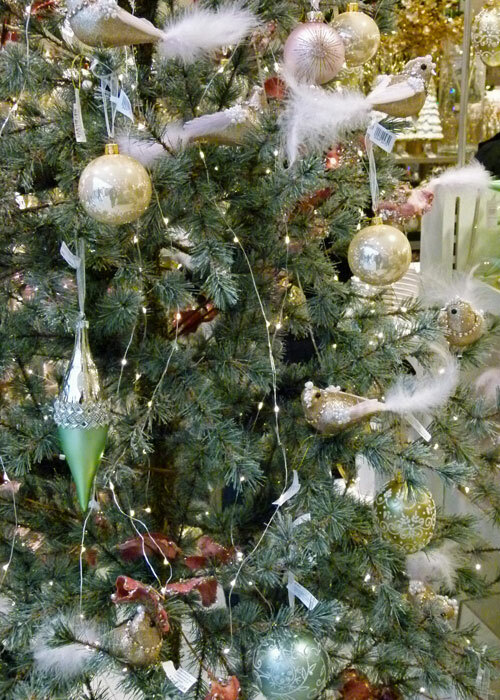 Actually, bringing evergreen branches inside for decoration was an established custom long before that. Different trees have particular properties, often sacred, in different cultures. The use of mistletoe, holly, ivy and evergreen fir trees are traditions dating back thousands of years, warding off evil spirits and reminding us of lasting life, though some say that the prickly holly leaves represent the crown of thorns and the red berries drops of Christ’s blood. In that case, shouldn’t we be saving our holly until Easter? It doesn’t matter; it’s all part of Christmas magic. Boxing Day, however, is a Christian custom: in medieval times, this was the day when the contents of alms boxes were distributed to the poor. Well into the 20th century, people used to refer, not to a Christmas present, but to a ‘Christmas box’. Giving, though possibly inspired by pagan practices, is also part of the Christian tradition, perhaps started by the wise men – who would surely have asked for a Sat Nav in their stockings if one had been available two thousand years ago. Perhaps they will as the Christmas story evolves. And it probably will – it certainly has so far. For example, the Bible doesn’t actually say how many wise men there were – we only assume there were three, presumably because of the gifts of gold, frankincense and myrrh. Yet, we see three kings from orient are in most Nativity scenes; actually, the wise men, or Magi, found Jesus in His house sometime after His birth, not in a stable or barn. Farm animals also figure in most Nativity scenes, yet the Bible is silent on that too. But the story of Christ’s birth is a wonderful one; and, for some, a Nativity scene, complete with wise men, shepherds, sheep, cattle, donkey and all the rest, is part of Christmas magic. Which brings us neatly back to Father Christmas, Saint Nicholas, Santa Claus, Sinterklaas, Kris Kringle, or whatever you want to call him. A modern myth is that Santa was invented by a bright ad-man at Coca-Cola. Sorry, chaps; rubbish. Father Christmas, the personification of Christmas for many in Britain, is certainly a composite of many figures, and comes in many guises. St Nicholas, the patron saint of children (as well as of sailors and pawnbrokers), who morphed into Santa Claus, was a 4th century bishop of Myra in the Byzantine Empire, now in modern Turkey. He is reputed to have worn red robes and to have been renowned for his generosity. One story is that he had an insane habit of dropping gold down chimneys; naturally, the gold fell into stockings drying conveniently by the fire. In pagan times, a King Winter figure would have had a central role in festivities. Another contributory character in the Santa saga came from the Norman red-robed ‘Lord of Misrule’, whose job was to ensure the Christmas party went with a swing. In Reformation Britain, saints were not universally popular and the less Catholic figure of Father Christmas evolved. He, in turn, was deemed too ‘Popish’ and gay during the years of the Republic Commonwealth (1649-1660) – though joy apparently made a come-back after the restoration of the monarchy. Father Christmas has had a variety of robes too – sometimes green, sometimes tan. However, many believe that our 21st century perception of Santa Claus, complete with reindeer and an arrival on Christmas Eve, derives from the poem ‘A Visit From St Nicholas’ (‘T’was the night before Christmas’) published as recently as 1823 and generally attributed to the American Clement Clarke Moore. What do you mean, you haven’t read it?! It’s part of Christmas magic. An entire book could be written about the fascinating origins and history of Christmas, as well as the different practices around the world. Suffice to say that customs ancient and modern are embedded in our Christmas and, to be honest, most of them stretch credulity and necessitate the suspension of disbelief mentioned earlier. As a bit of an agnostic, for current purposes I don’t suppose it matters which bits are Christian and which bits aren’t – there’s a joke running around about there being too much religion at Christmas anyway. Obviously, the festive season means different things to different people – and absolutely nothing to some. But, personally, I find it easy to embrace the whole panoply of Christmas simply because it is fundamentally a Good Thing. There is so much sorrow in the world; Christmas is a time for hope and kindness, for counting our blessings and keeping happy memories of those we have been, and are, lucky to know. Let’s celebrate the rolling year, as our ancestors have done for so long. Let’s sing carols, eat cake, give presents, endlessly listen to Noddy Holder, Bing Crosby and all the rest, watch corny movies, play games, fill our houses with tinsel, love, laughter and wonderful smells. And let’s not give a fig for whether any of the stories are factually correct, because if we believe them, then they can be; it is Christmas magic. We can also try to mark it as a time of peace in the name of Christianity, for that is our culture and tradition (with a nod on the side to the Old Ones, of course) – or in the name of whatever you like; and if enough people did that, that really would be Christmas magic. Did I tell you about the Christmas Hedgehog? It was a tiny plastic toy I mischievously introduced into my children’s nativity scene and it is now just as much a part of their Christmas as mince pies and crackers. Don’t let anyone tell them he doesn’t exist. Merry Christmas, one and all. I think it’s appropriate to leave you with a link to Greg Lake performing I believe in Father Christmas, don’t you? Greg Lake died on 7th December 2016 aged 69. Very late here but it’s still Christmastide – just! A wonderful post, Mike with plenty of Christmas cheer. Hope your Christmas has been merry and you and yours have a peaceful, healthy and contented new year. Another interesting article. Christmas is surely a conglomerate of past traditions both Christian and Pagan. I think it is a nice time because families make an effort to be with one another and enjoy a feast. One thing that annoys me here down under is why some people still cling to the Northern Hemisphere traditions like cooking a winters dinner in the middle of summer., like putting fake snow on fir trees, like having snow scenes on Christmas cards. Thank goodness some parts of the population are now revelling in summer foods for Christmas like seafood and salads. Some cards are typical Australian summer scenes with Santa in shorts. After all Jesus wasn’t born in the snow. A lovely feel good Christmas post, thank you 🙂 Merry Christmas to you and your family. Happy Hogswatch! (There’s someone else who was taken from us too early….) Thanks for dropping by at my blog. Watch out for the annual review of the year in a couple of days time. Happy Christmas to you, Mike, and I simply love the hedgehog! We have acquired a few Thomas the Tank Engine ornaments which never seem to lose their appeal for various members of the family. It is lovely how we create our own traditions… which is what your post made me think about. Things we adapt ourselves, either individually or communally, are so much more powerful and engaging than anything that comes straight from the powers that be. Charming – and informative. I edited a recent post [We ALL Wish You a Merry Christmas], with links to interesting Christmas articles to include this one. Thanks for dropping by – and the link. Have a fabulous Christmas x. If anything this post has even more interesting historic facts about this great season. And you tell the stories so well. It’s been part of our tradition since long before I was born, and though different families all seem to have their own little habits, the basic magic always seems to be there. Worth remembering! Merry Christmas to you too. What a wonderful post Brian. I’ve learned a lot and discovered some new truths. I love the post so much I have created a link to it on my post today. Merry Christmas to you and your family. Keep that magic alive. Merry Christmas Mike! Joyeux Noel from Paris! 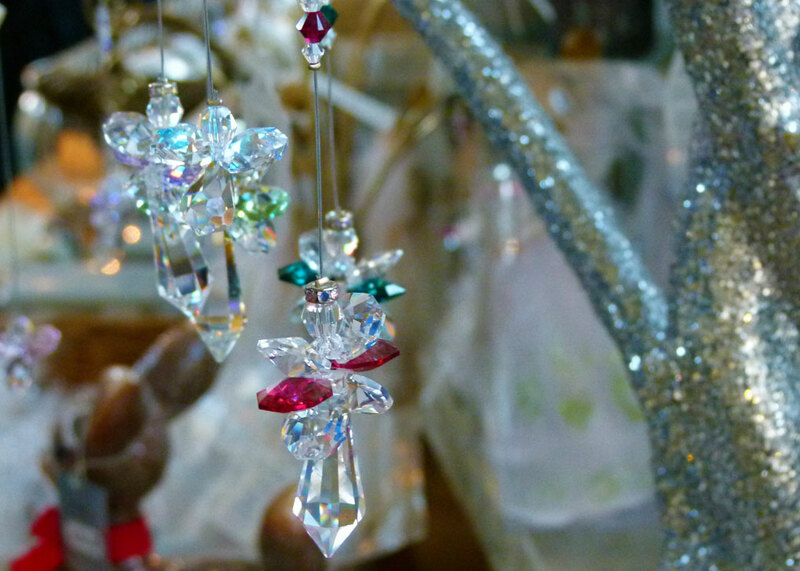 Great post and I share your view, let’s believe in the magic and continue the traditions! Merry Christmas Mike. I did believe in Santa when I was young. Although not religious I still think it’s important to retain some sense of mystery and wonder in your life. I get it now from nature, from music, art or finding out interesting facts. As I’m not the brightest bulb in the box at Christmas one such fact occurred at a recent Christmas Quiz where I lost a bottle of 10 year Malt having had my fingers on the cork, so to speak..
“Name the four largest cities in the UK”. I had 1 London. 2 Birmingham. 3 Manchester. 4 Glasgow and I was convinced I was right. No 3 is actually Leeds which I found staggering- Leeds is bigger than Manchester and Glasgow!???? WTF!… so bye bye ten year old malt as the winners prize. Manchester barely scrapes into the top ten!!!! A mystery… AND a wonder :o). We need to keep the magic that is Christmas alive and well. Wishing you and yours a magical, peaceful and merry Christmas. All good wishes for 2017 too. Christmas is such a joyful and uplifting time. I’m always so interested in how the mood shifts and everyone seems to to be happier and more generous. If all of this stems from religion, I’m fine with that, but wherever it originates, I’m thankful for it. Well done and Merry Christmas!!!!! Thanks Tanja. And a Merry Christmas to you all as well! For me, the magic of Christmas has always been there, no matter how old I am. I remember how I once ruined great part of it for myself when I was about 10 or 11. I had been pining after a particular doll at the toy shop and was pretty sure I would get it for Christmas. But instead of patiently waiting for the big day, I snuck up the stairs to my parents’ bedroom where I knew my Mum was hiding our presents until she would be wrapping them nicely just before Christmas Eve. I did indeed find a bag with “my” doll in it, and was thrilled – but then I felt bad, really ashamed. Worst of all was having to fake being delightfully surprised on Christmas Eve, when I unwrapped Erika. I’ve never done it again (looking for my presents before time), and to this day, my Mum doesn’t know I knew. Well, she knows now..? Do you still have Erika? Yes, Erika still exists. My Mum does not follow your blog, so I doubt she’ll find out – unless you tell her! A great post. I believe in the magic of Christmas. I agree, when there’s so much turmoil in the world, Christmas is a time for hope and kindness. A lovely post with great photos. Thanks Mike and a Merry Christmas to you and your family. And you, Thel – it’s a special time. 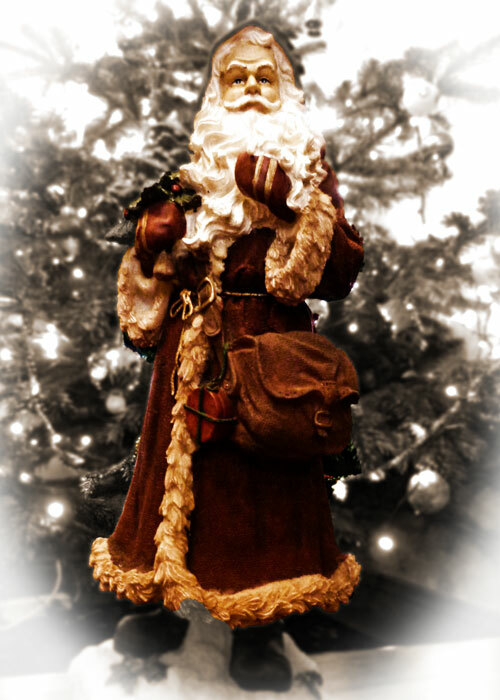 Oh, the last Father Christmas ornament looks very much like the American St. Nick, I am about to write my next post about …it is a true story of an American solider who dressed as St. Nick in World War II in Wiltz, Luxembourg! Also, I love that song by Greg Lake, I have it on the Christmas album from 1985….you know the one, “Now That’s What I Call Christmas” album, it has “Merry Christmas Everyone” by Slade! Such pretty photos, Mike. Yes, it’s the magic which captures so many at this time of year. I would like to suggest that only something with divine origins could possibly possess that to such a degree – there is nothing like Christmas even remotely. You had me laugh out loud at the idea of a connection from the Norseman to those supermarket concoctions – hysterical thought! I love your posts, even the ones I don’t find time to comment on. A Merry Christmas to you!! Wonderful post. I needed to refresh my history of Christmas. You are a gifted writer who takes me to my favorite country with every post. Smiles from Minnesota. That’s a wonderful comment; thank you. Well done drawing all the threads together. I’ve not believed in Father Christmas for years and as childless i havn’t had to treat the children to the story. We do now support Santa Paws for all the good things that happen around this time of the year and wrap The Dog’s gifts without too much Scotch Tape. Merry Christmas to you and all your readers! Thanks Lesley. I think I’d still like to believe in Father Christmas! Have a wonderful Christmas yourself. Great comprehensive post, Mike! I can still recite ‘Twas the night before Christmas….’ May you and Mrs. B. have a wonderful, Merry Christmas. Wish I could be at York Minster for Christmas. This is a lovely post Mike. I’m not religious any more but I enjoy celebrating Christmas as a festival and yes, as a magical time. I was devastated when my daughters no longer believed in Father Christmas, and again many years later when my grandson stopped believing in him. I love all the old original Christmas carols that I remember from singing in church with my mum. 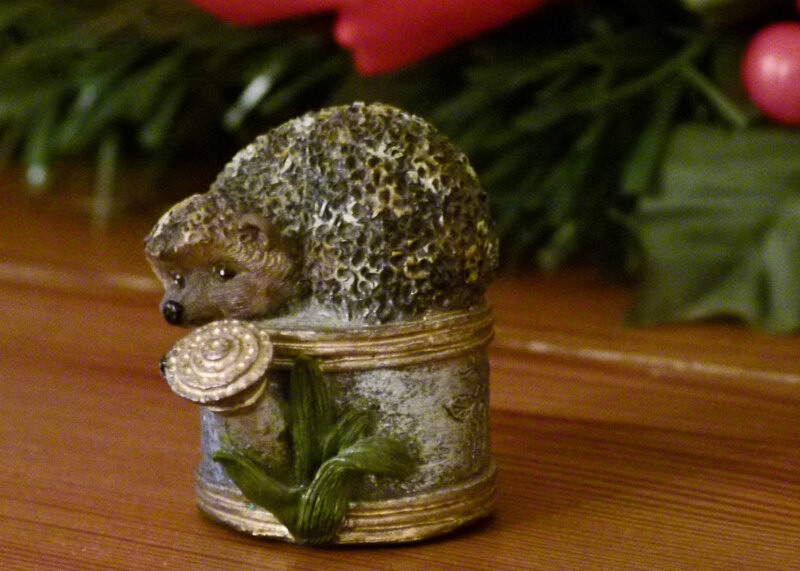 Your Christmas hedgehog is adorable. Such a shame about Greg Lake, that is one of my favourite Christmas songs. Thanks, Polly. You have a wonderful Christmas too. Thank you! This is the perfect time to say I enjoy your excellent travel posts, as I do plan on another trip to Britain, and I am making notes on destinations from your posts. Well done. That large nativity is beautiful! A very Merry Christmas to you and yours! Thank you very much Catherine! if I can be of any help, drop me a line via the contact page. Meanwhile – have a lovely Christmas. Is Eilean Donan Castle a fake?